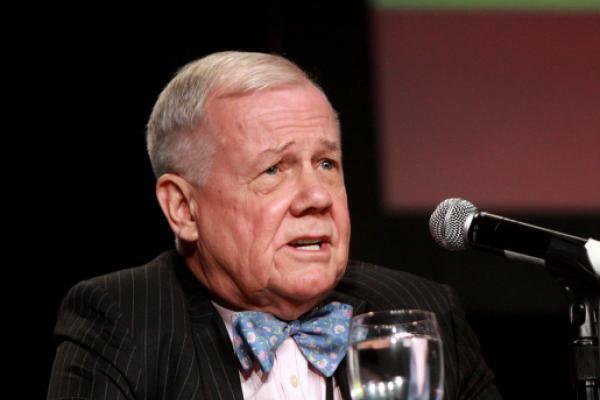 Famed investor Jim Rogers is again getting involved in the exchange traded products space, lending his name to a new global macro exchange traded fund of ETFs. The Rogers AI Global Macro ETF (NYSE: BIKR) debuted Thursday, courtesy of Ocean Capital Advisors LLC, which issued the fund in partnership with ETF Managers Group. The new ETF is “based on macroeconomic factors by leveraging the capabilities of AI and the multidecade expertise of Jim Rogers to find, track and project leading economic indicators,” according to a statement. Rooted in artificial intelligence capabilities, BIKR is an actively managed ETF. Its holdings will be primarily comprised of single-country ETFs. The fund uses AI “to gather and analyze mass quantities of data and completely reveals its processes that determine every investment recommendation,” according to ETFMG. The ETF of ETFs strategy has become increasingly popular in recent years as dozens of such funds from various issuers have come to market. Although BIKR will mainly hold single-country ETFs, the fund debuted with the iShares 1-3 Year Treasury Bond ETF (NYSE: SHY) as its largest holding. SHY accounts for 24.66 percent of BIKR's weight. Nine of the other top 10 holdings in BIKR are single-country ETFs. Three of those nine ETFs are developed markets funds while the other six are emerging markets funds. The iShares MSCI Brazil ETF (NYSE: EWZ), iShares MSCI South Korea ETF (NYSE: EWY) and the iShares MSCI Hong Kong ETF (NYSE: EWH) are BIKR's top three single-country holdings. Overall, BIKR debuted with 40 holdings, 37 of which are iShares ETFs. The other three are Global X country-specific funds. The new ETF charges 0.75 percent per year, or $75 on a $10,000 investment.